Photo by Diego Gómez Aldana. The rapid development of digital media, which began during the last decade of the 20th century, has had unanticipated effects at the beginning of the 21st century. Peoples, whose cultures and languages were marginalized and displaced by the Nation-State, have appropriated – slowly, but surely – these media to reassert their cultural and linguistic presence in cyberspace. In Latin America, the most notable trends in digital activism have been predominantly led by the Spanish-speaking mestizo populations. However, gradually and in parallel, we have started to see more and more examples of the appropriation of digital tools by communities and individuals who belong to Indigenous peoples. From the translation and localization of free software and social media to the digital documentation of their own practices, stories, and artistic expressions, to the design of apps for the teaching and learning of Indigenous languages, Indigenous digital innovations are developing within a range of activities which are not always easily recognizable as “activism”. We need to look at these initiatives, however, in relation to their regional context. Here, despite the constitutional reforms implemented to recognize and guarantee the rights of the Indigenous peoples of Latin America in the last two decades, both the State and society at large do not seem willing to implement two of the main demands made by Indigenous movements: to promote national education in Indigenous languages and to allow the creation of Indigenous-owned mass media. Faced with the State’s failure to fulfill its commitments, individuals, groups, and communities are inventing new ways to strengthen their languages, taking advantage of the lower costs of digital technology tools, and of the support of free software activists. Within this “cultural activism”, individual Indigenous activists and collectives are setting up online digital radio stations and video; recovering, digitizing, and redistributing old audio and video recordings; building community mobile networks; producing video clips to revitalize near extinct languages; publishing bilingual blogs and memes (in their languages and Spanish); learning how to interweave different internet platforms and social media; making participatory and community films in which they create new visual narratives; reporting their struggles and connecting them to other Indigenous struggles through news sites, Twitter and YouTube; and “placing” their voices onto the (Sound)cloud to tell jokes, sing to the jungle, and provide their opinions about their future. Since 2013, Global Voices started a strong collaboration with organizations and activists involved in digital innovation initiatives around Indigenous languages. 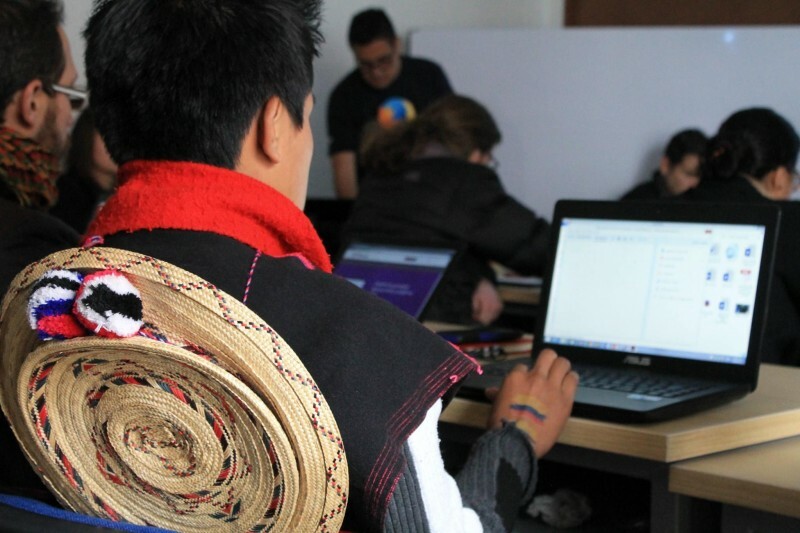 With the financial support of Hivos and other allied institutions, it helped to co-organize Indigenous Language Digital Activism Gatherings in the region. The first one took place in Oaxaca, Mexico, in October 2014, and two more followed in Bogota, Colombia, in June 2015, and then in Cusco, Peru, in December 2015. 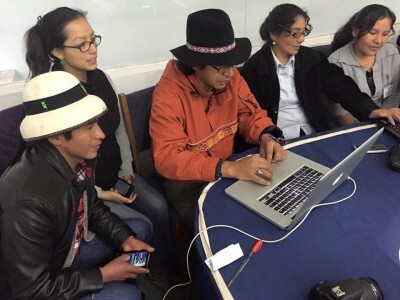 These activities gave a new thrust to the connections and mutual recognition among participants and inspired the creation of a Network of Indigenous Language Digital Activism. In this same line of work, with the support of the Ford Foundation, a team of Indigenous researchers began to assemble in October 2015. This team will be in charge of developing a research project based on 15 experiences where digital technology and media were employed to document, pass on, and strengthen Latin American Indigenous languages. 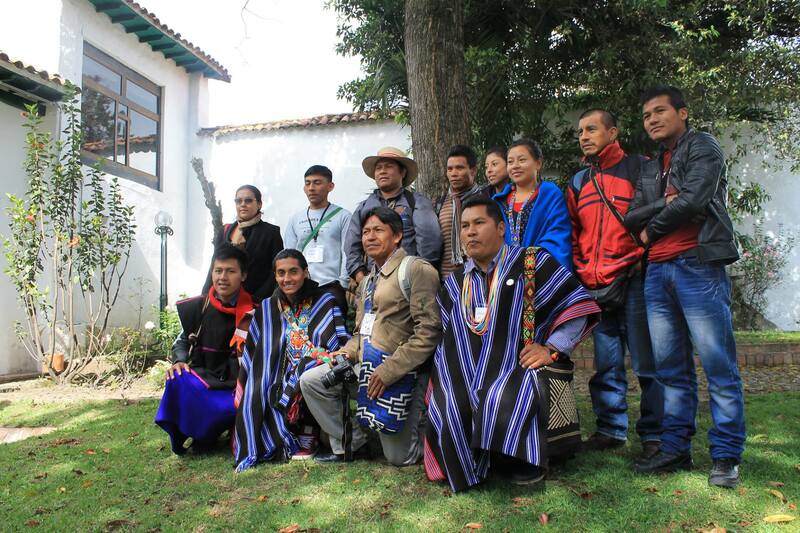 This team includes a principal investigator, Genner Llanes-Ortiz (Yucatec Maya), an associate investigator, Pedro Cardona (Zapotec), and four regional investigators, Ruben Hilari (Aymara), Liseth Atamain (Awajun), Duvan Almendra (Misak) and Yasnaya Aguilar (Mixe). The members of this team are themselves leaders of their own projects and digital innovators in their own languages. Their personal experience and empathy will be key to understand the digital initiatives included in the study from the point of view of their actors. What motivates Indigenous groups and individuals to undertake a process to recuperate, strengthen and promote their languages using digital media? What are their objectives and what are the goals they pursue? What difficulties do they face in their social and political context? How do they resolve the challenges they face in terms of digital infrastructure? What are their communicational strategies of choice? What are the alliances they create? How do they access external technology training, or how do they train themselves? How are they received by their own linguistic communities, the national society, and the global cyber networks? What are their future aims, and what resources could contribute to enhance or increase the impact of their work? These are some of the questions that will guide the research of these Indigenous digital initiatives. The research project aims to establish collaborative relations with activists and organizers so that its outcomes would have a favorable impact in their work. The first results in the systematization of digital innovations in Indigenous languages will be made public on this site: activismolenguas.org, where online conversations will also be facilitated to receive feedback and to engage with new questions and lines of enquiry. After the first steps in the assembly of the team, a round of discussions has followed to identify the conceptual field and to establish working definitions that would lead the investigation. Because the field of the study has never been addressed in this way or in this scale, it is expected that the work of this group of Indigenous activists, promoters and academics will shed new light to understand the challenges and opportunities that the so-called “digital era” poses to the Indigenous peoples of the Americas. Digital activism of Indigenous languages follows multiple pathways of which this research will barely scratch the surface, but we hope that the information and analysis resulting from this effort will open the way for new and better inquiries.